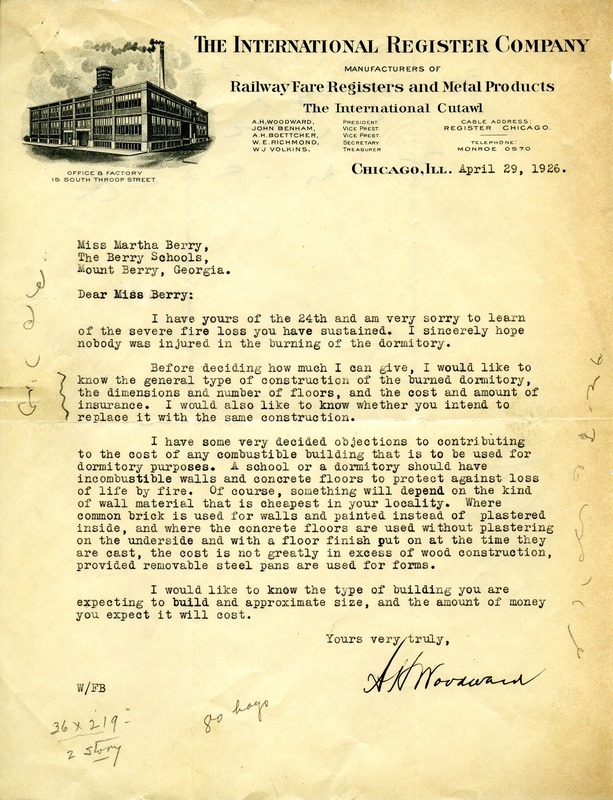 In this letter A.H. Woodward wants to know the type of buliding that is going to replace the dormitory that had caught fire before he decides how much money to give to help build a new one. 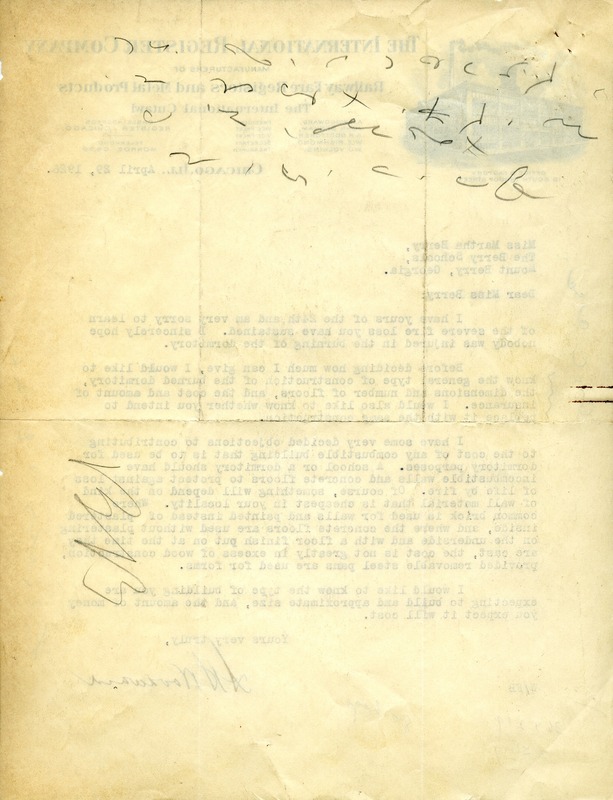 A.H. Woodward, “Letter to Martha Berry from A.H. Woodward.” Martha Berry Digital Archive. Eds. Schlitz, Stephanie A., Jordan Brannen, et al. Mount Berry: Berry College, 2012. accessed April 24, 2019, https://mbda.berry.edu/items/show/3825.